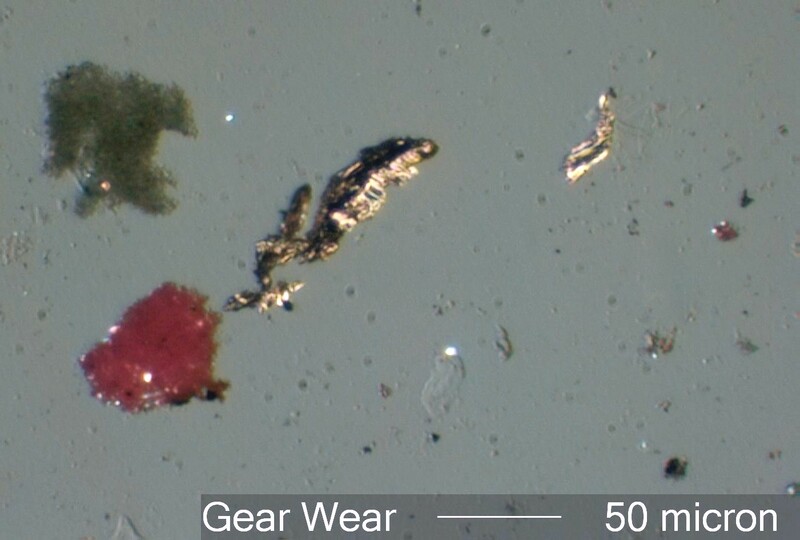 The particle in the center is from gear wear. Notice tha the the striations run at right angles to the long axis of the particle. The red particle is paint.